With iTunes in the iCloud, the music, apps and books you purchase automatically appear on all your devices. Or you can download only the content you want - including movies - to just the devices you want. 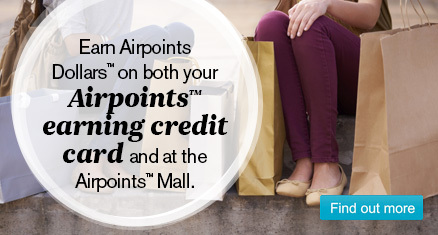 - Rewards are only earned on purchases with iTunes New Zealand that are made via Airpoints Mall. - Once your purchase has been verified with iTunes, it will show as pending in your account within 10 working days from the date of your purchase. -Rewards may be higher on purchases of movies, books and TV. - Rewards are only awarded based on the price of qualifying goods or services purchased, excluding GST made via Airpoints Mall. - Rewards are not earned on the purchase of iTunes gift cards and iTunes gift certificates. - iTunes will not entertain any enquiries on untracked iTunes purchases. - Effective 1 May 2017, you will earn a lower reward for all In-App Purchases made in a 24-hour window in that same app. This retailer delivers to New Zealand, however this is subject to change. Please check the retailer's site for current terms and conditions.